Great work environment, benefits, and $80,000 to $100,000 a year potential average pay for trained and experienced Techs. Willing to train the right individuals who wants to break into plumbing service. Pay is $15.00-$46.00 depending on experience. Are you looking to be part of a best-in-class company that is highly respected in the San Joaquin County area including Escalon, CA, Lathrop, CA, Lodi, CA, Manteca, CA, Modesto, CA, Oakdale, CA, Ripon, CA, Stockton, CA, Tracy, CA, Turlock, CA area? Then you could be a candidate for Knights Plumbing & Drain. Our ongoing goal is to be at the very top in our market as the plumbing service company that provides superior service . We are currently achieving our goal. 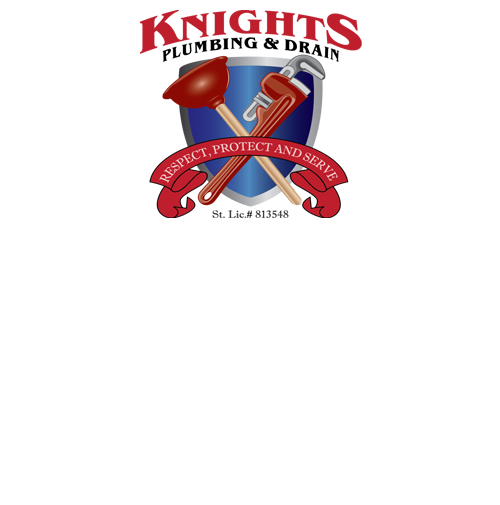 Although the company is in a “growth” mode, Knight's Plumbing & Drain will limit its size to ensure we provide the best services in the area and maintain a friendly and positive employment environment. Do you value professionalism and punctuality? If you are an individual who values your vocation, wants to work with a team of like-minded technicians and see your customers be genuinely satisfied, you are a match for our team. Opportunities for Professional Service and Repair Plumbers and Apprentices serving primarily the residential market are now available at Knight's Plumbing & Drain. We serve the greater Manteca, CA area. We value your experience, abilities and work ethic. Your continued learning, knowledge and experience will be recognized and rewarded as you develop. Effectively communicate one-on-one with the home owner and staff in a manner that promotes respect, trust and ensures understanding. Be a team player and collaborate with office staff and other Techs to ensure maximum productivity and profitability of self and the total resources. Ensure as you learn on each service call - that your work is executed with technical perfection – apply knowledge and skills – to technically assess the client need, communicate technical issues effectively to the lead plumber and complete the repair/service in a timely manner. As you learn and begin interfacing with the customer, effectively apply a consultative sales approach to assess and communicate effectively with the customer to ensure they receive the very best service and advice. Maintain a continuous improvement attitude that supports a desire to grow and expand personal and team success. Be open to receiving and following direction – accept supervision, learn and consistently follow rules and procedures designed for success of the Tech and the company. Ensure the accurate and timely completion of paperwork and data entry in a manner that promotes enterprise-wide productivity and customer satisfaction. Willingness to work evenings and weekends as required for great customer service. 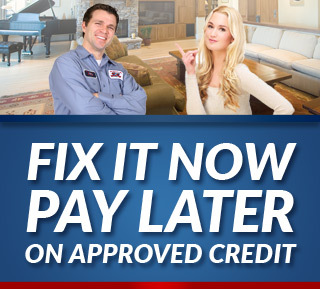 Tankless water heater sales, installation, and repair. Water softening and filtration systems. Sewer cleaning, repair, and replacement. Able to enter and exit trucks without endangering yourself or others. Able to lift heavy equipment, water heaters, toilets, etc.